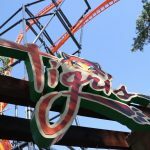 We’re back for this month’s photo update! 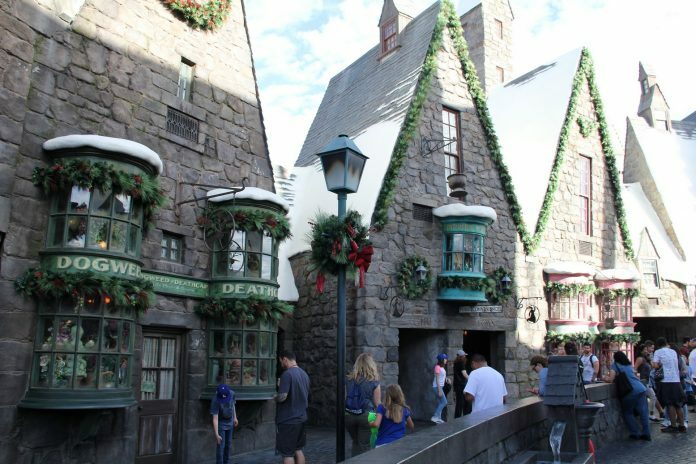 In this update we’ll be taking a look at Christmas in the Wizarding World, Studio expansion and CityWalk Hollywood. 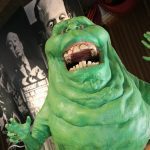 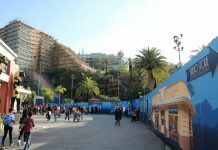 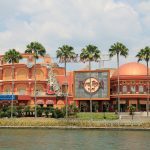 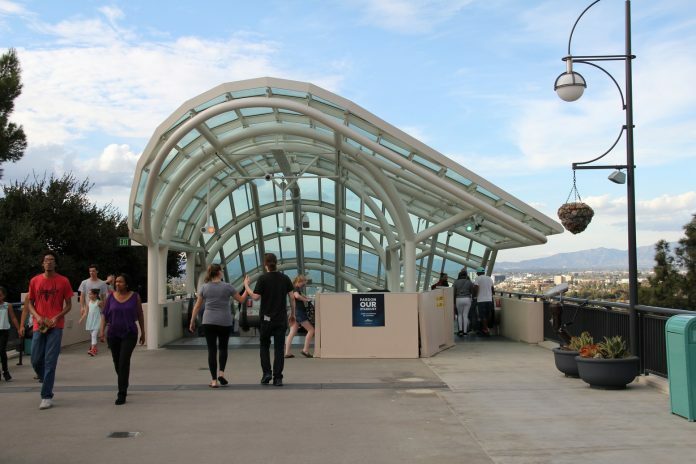 CityWalk Hollywood continues is transformation as two locations are currently awaiting new tenants. 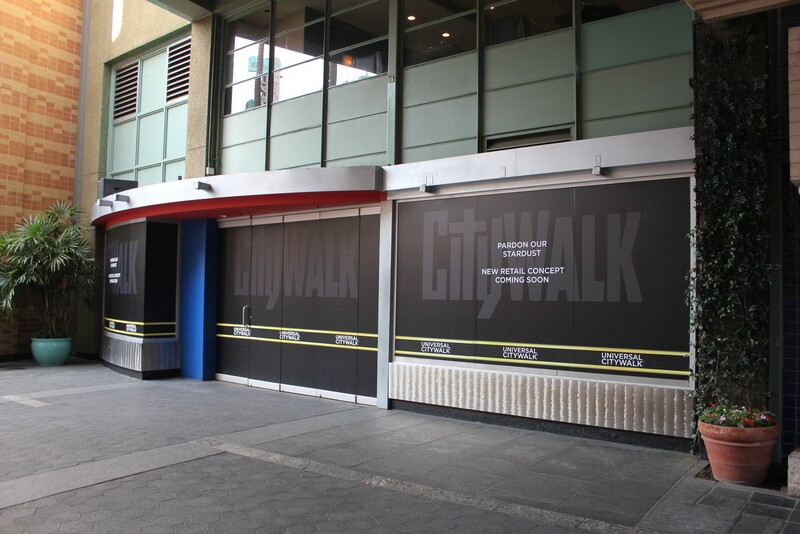 Magnet Max and Upstart Crow have both since closed and now have signage signifying new retail concepts coming to CityWalk. 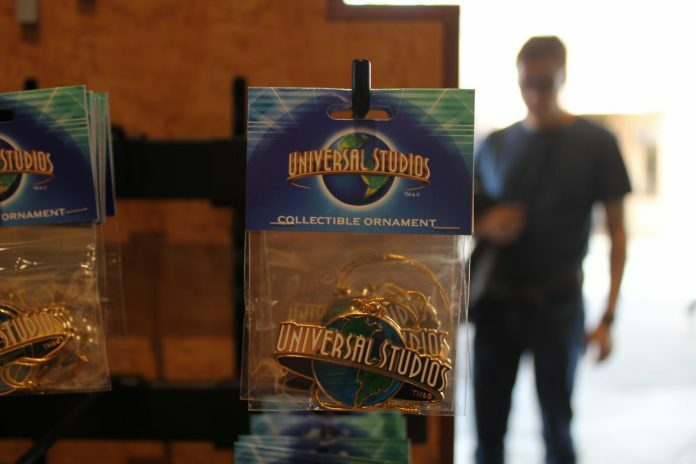 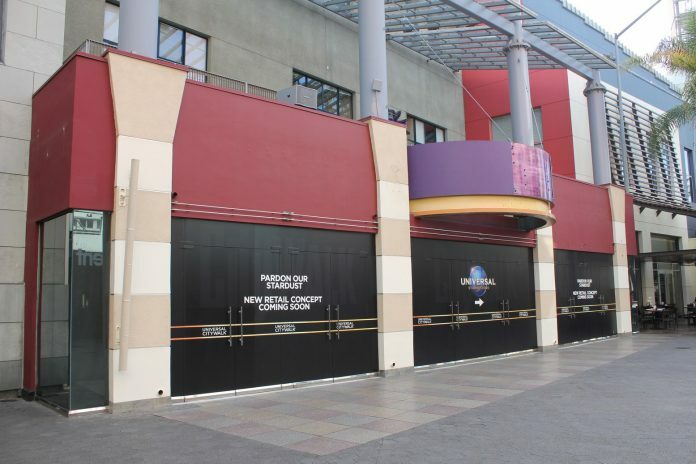 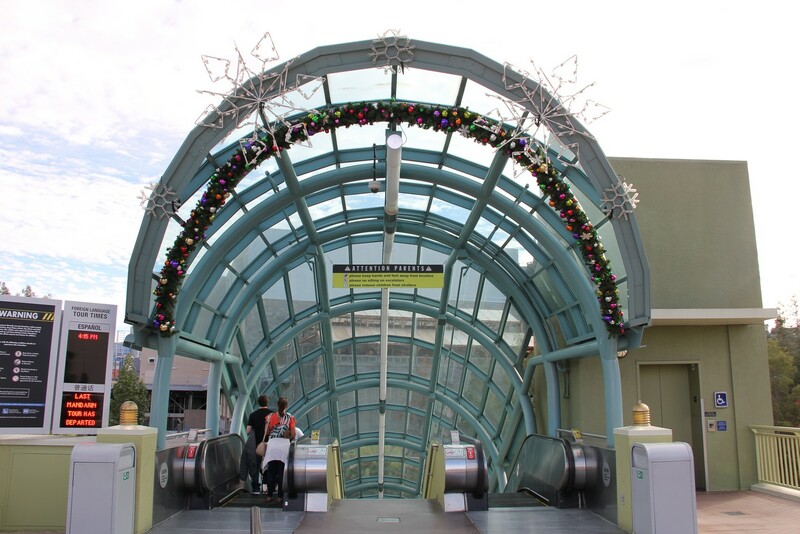 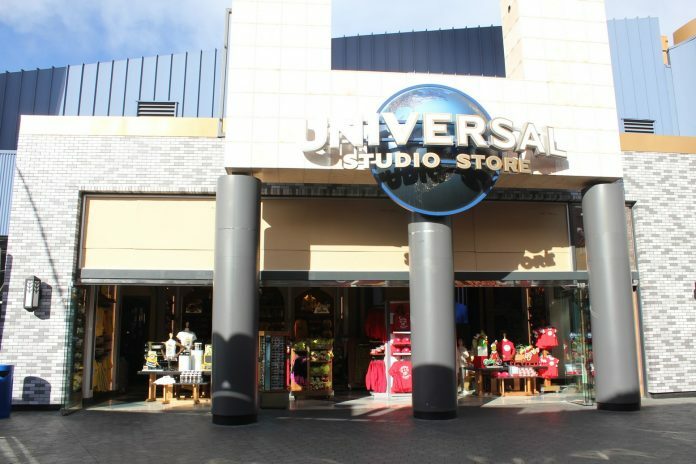 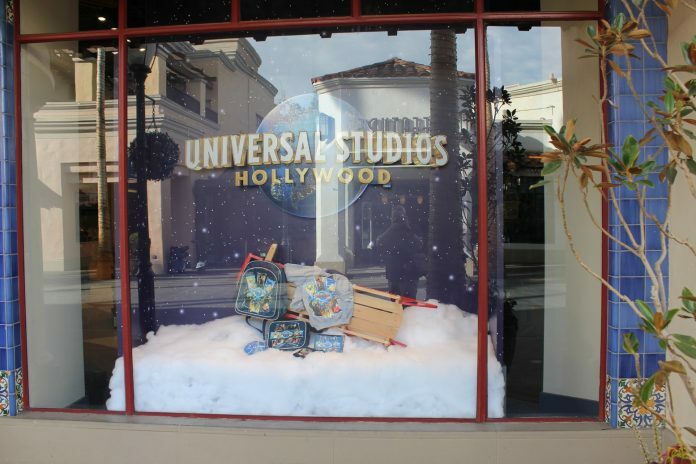 The Universal Studio Store has removed the outside banners and are now ready for the holiday promotion. 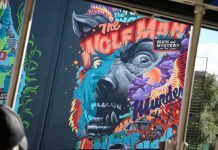 Now that Halloween Horror Nights is over for 2017, Universal Studios Hollywood is now in the process of decorating the park for this year’s newly re-branded Holidays at Universal. 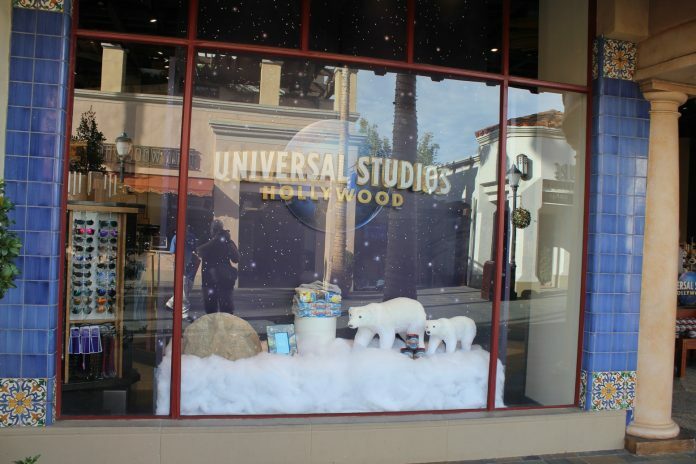 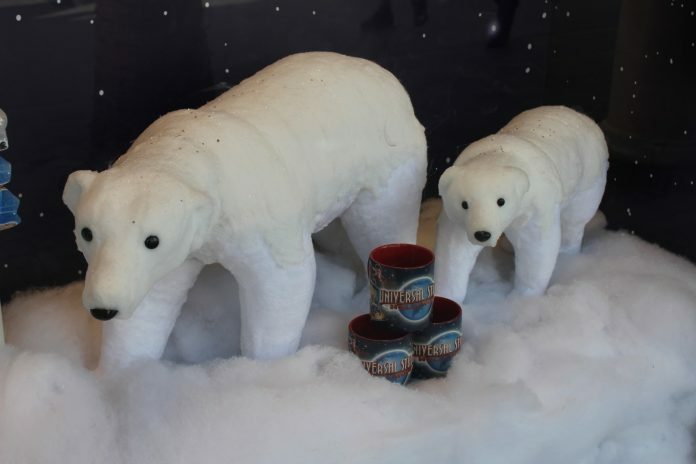 New holiday themed window displays are already out in the Universal Studios Store inside the theme park. 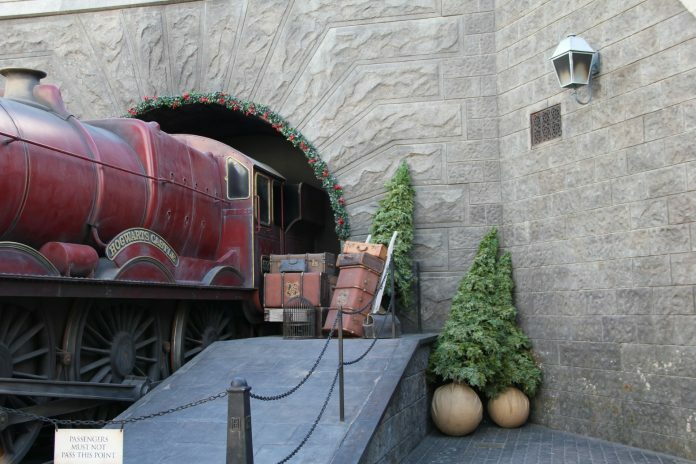 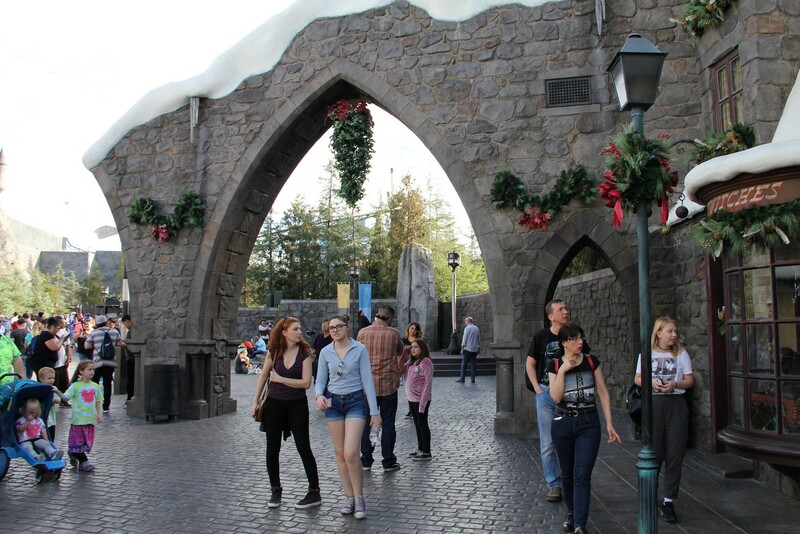 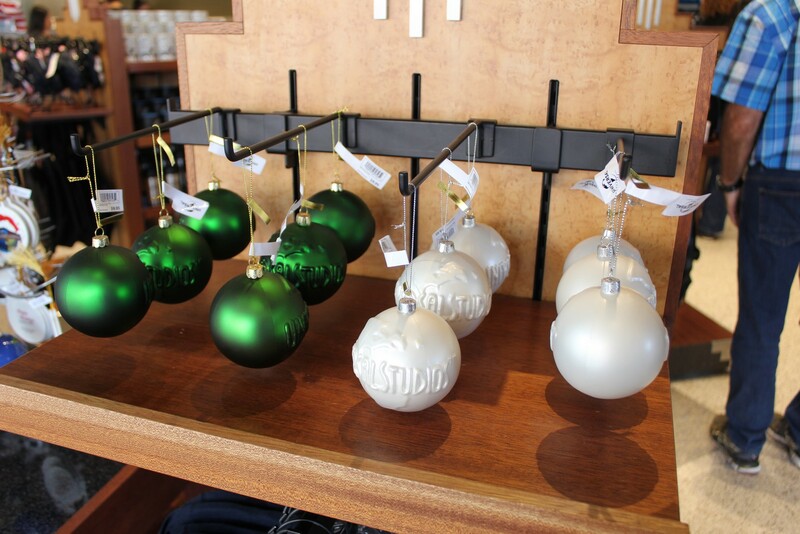 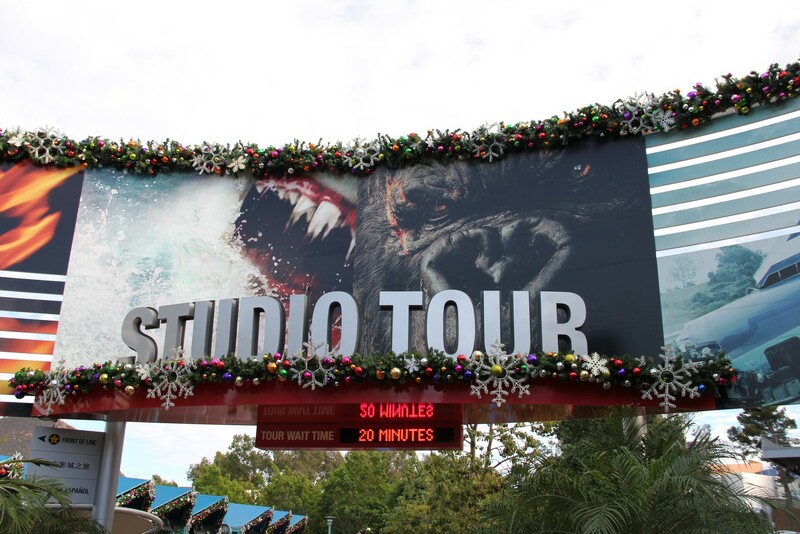 The Studio Tour has also received its holiday decorations. 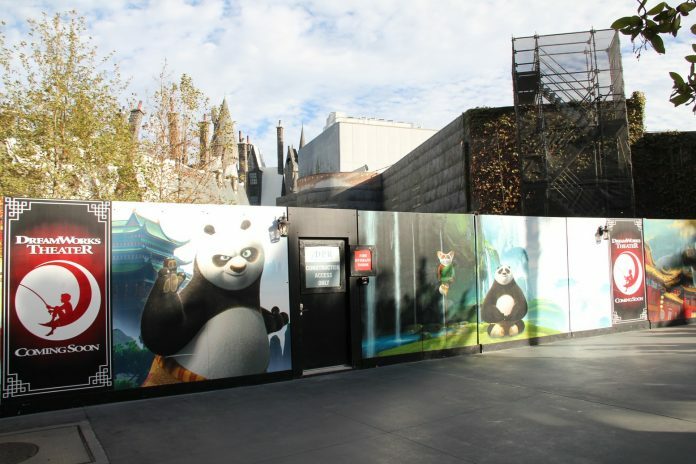 The Animation Studio Store is moving along quite nicely. 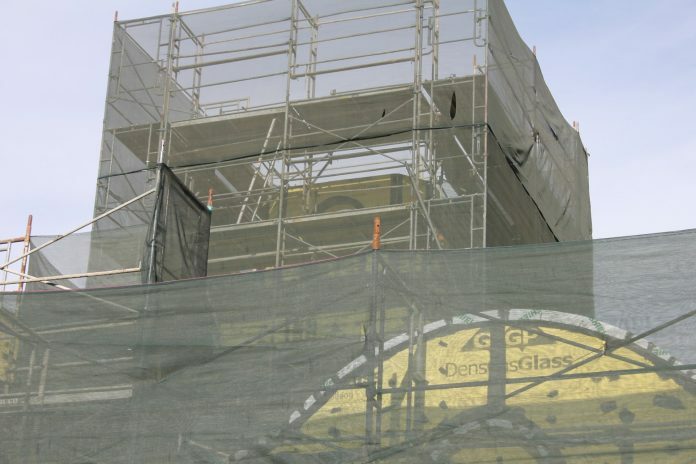 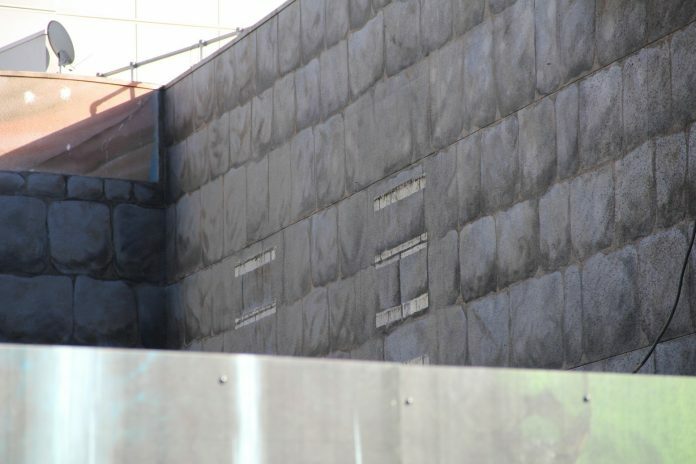 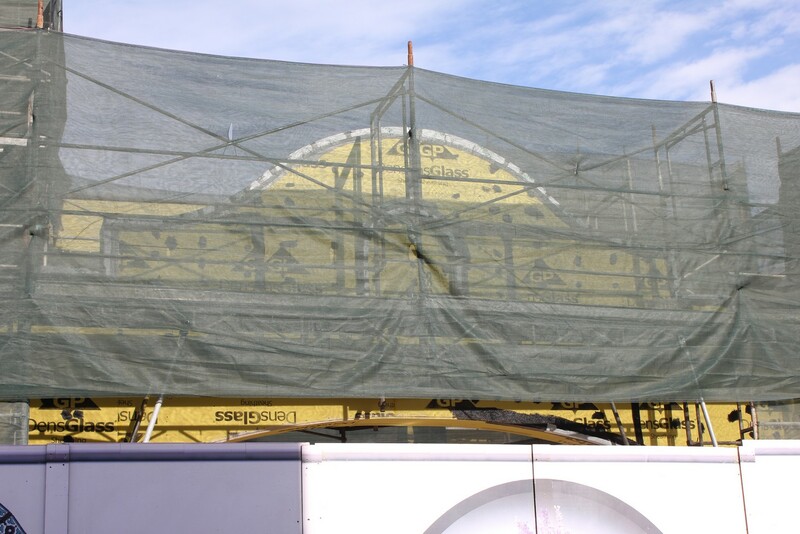 Parts of the façade have been revealed while most of the building has still yet to receive its finished exterior. 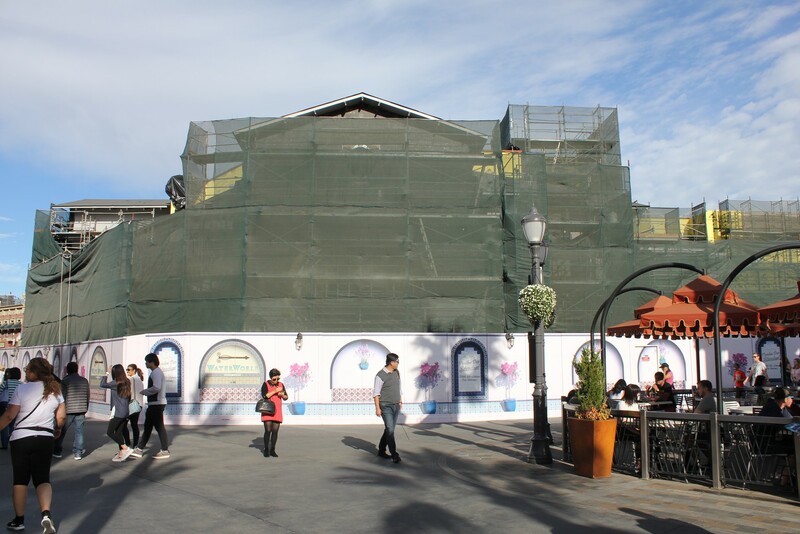 The new building will house a shopping location, Hello Kitty, security offices, a warehouse and the park’s first family center. 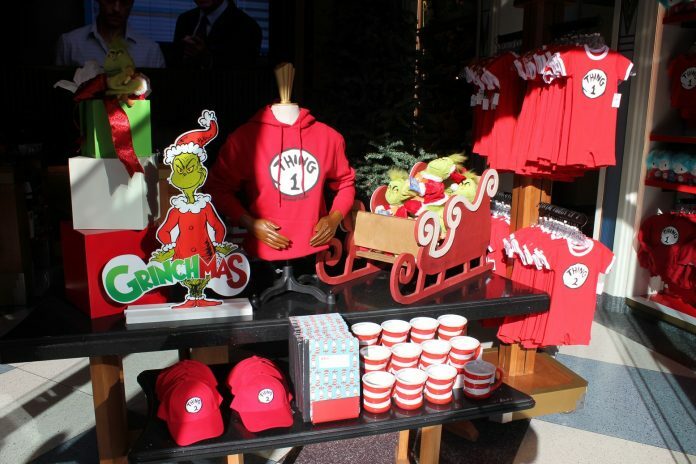 With The Purge portion having been removed with the end of Horror Nights from the Universal Plaza, Grinchmas is already moving in. 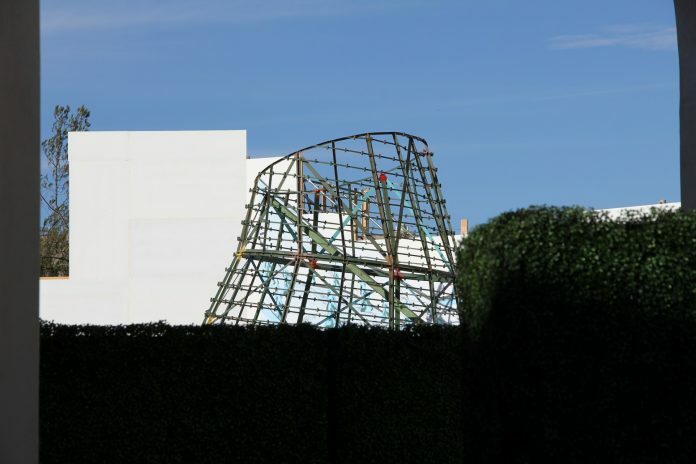 The tree is beginning to be installed along with the backdrop. 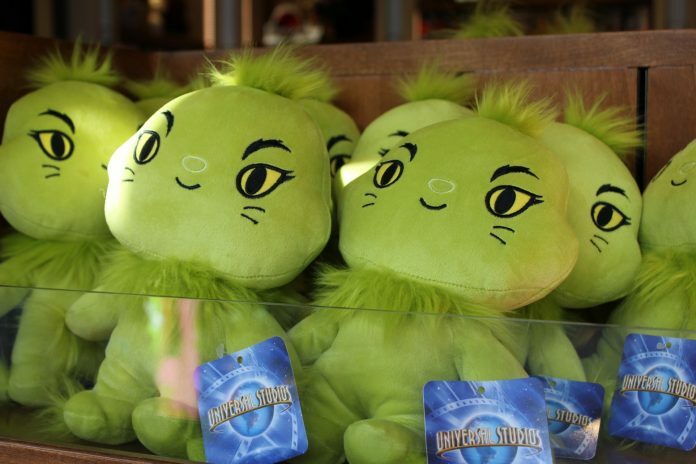 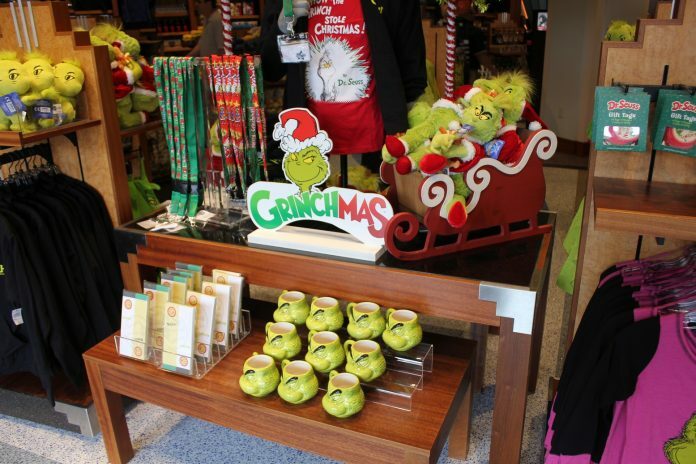 Grinchmas begins December 2. Not much has changed since our last update. 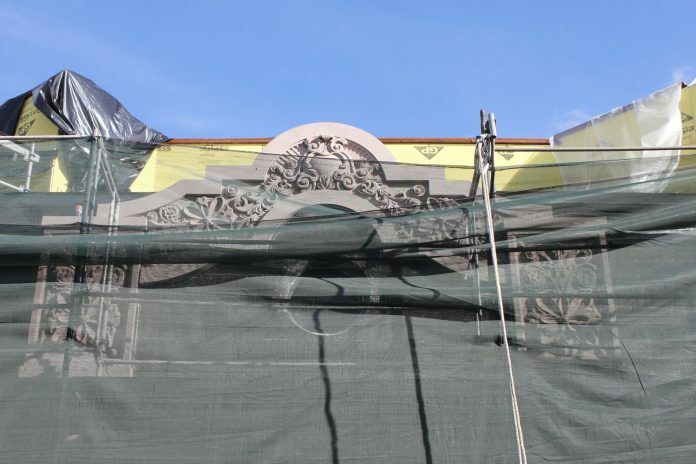 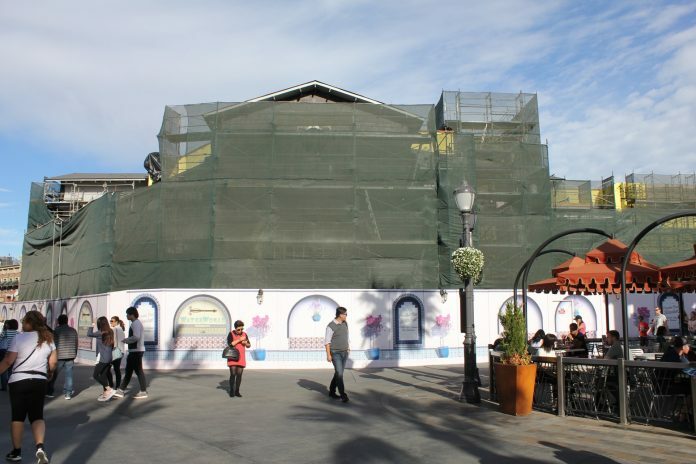 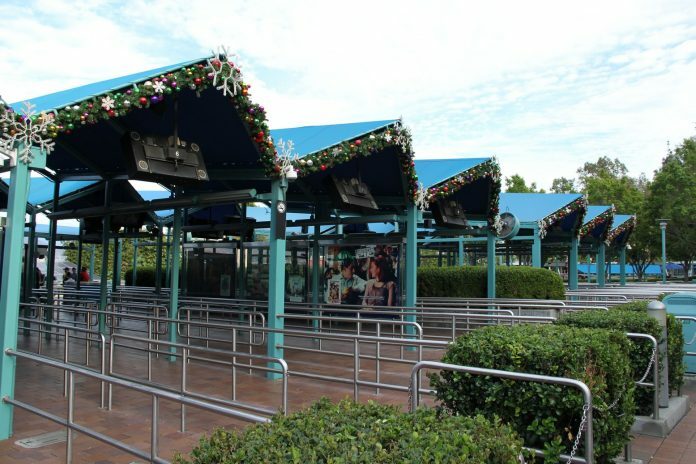 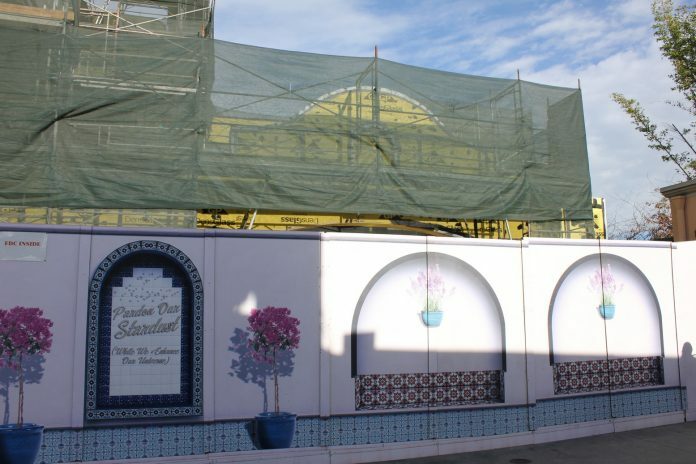 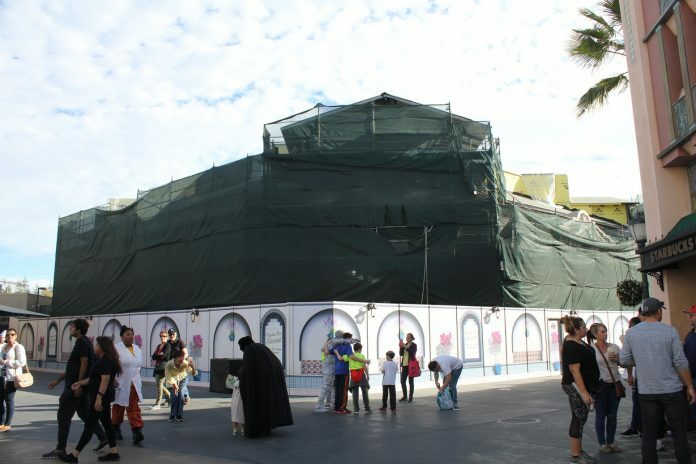 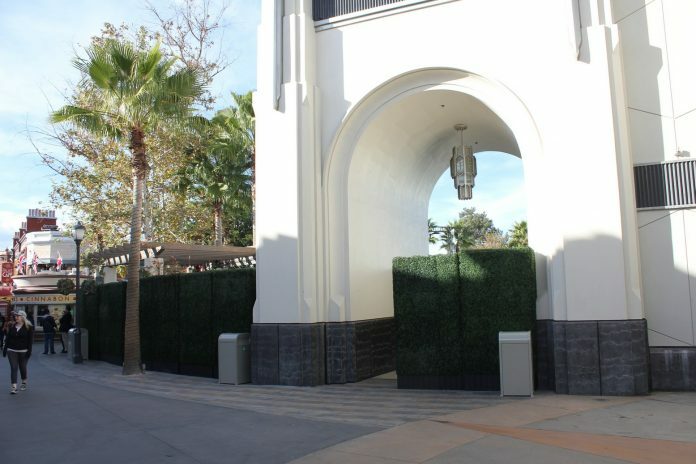 The outside of the former Shrek 4D hasn’t budged, while the inside is receiving its most drastic change since the building was converted from an outdoor venue to an indoor show back in the 1980s. 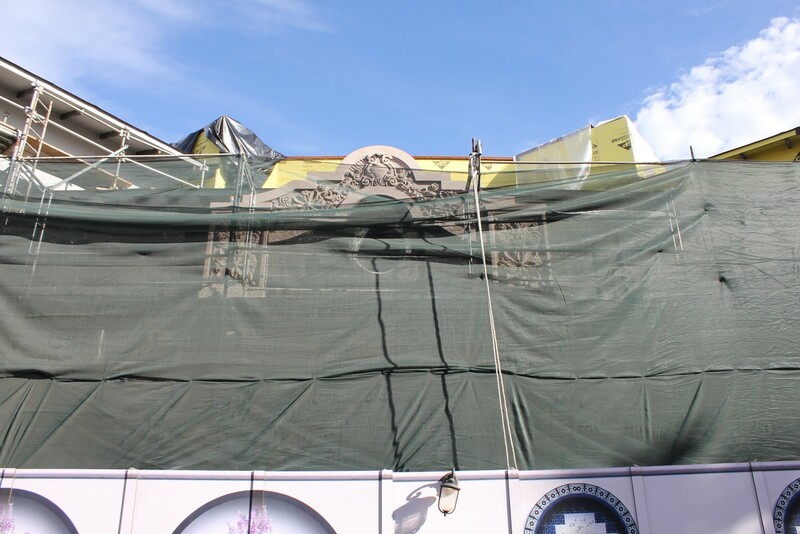 The inside of the building has been completely gutted. 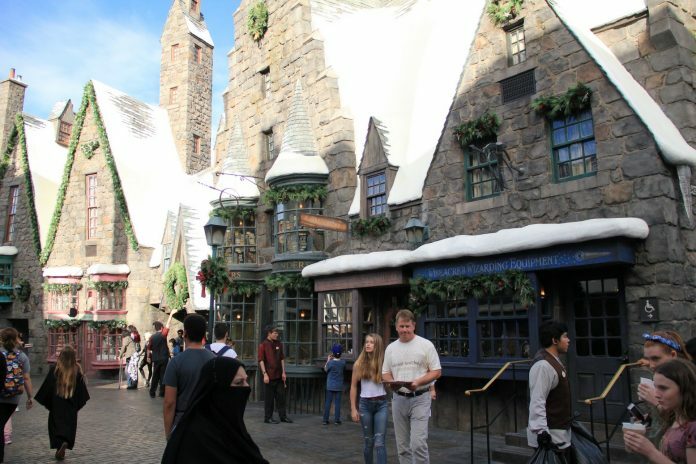 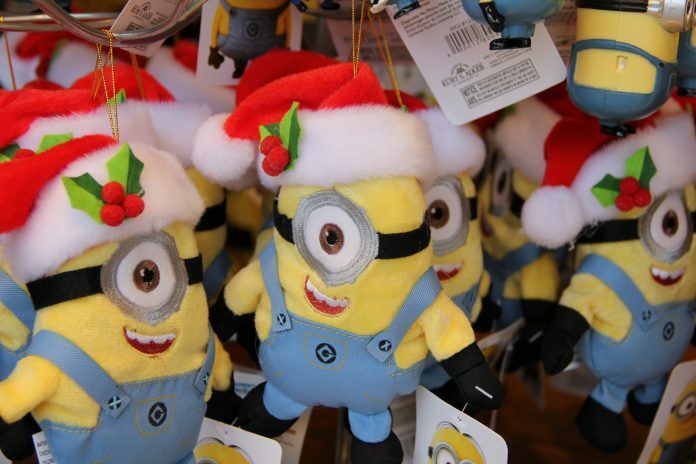 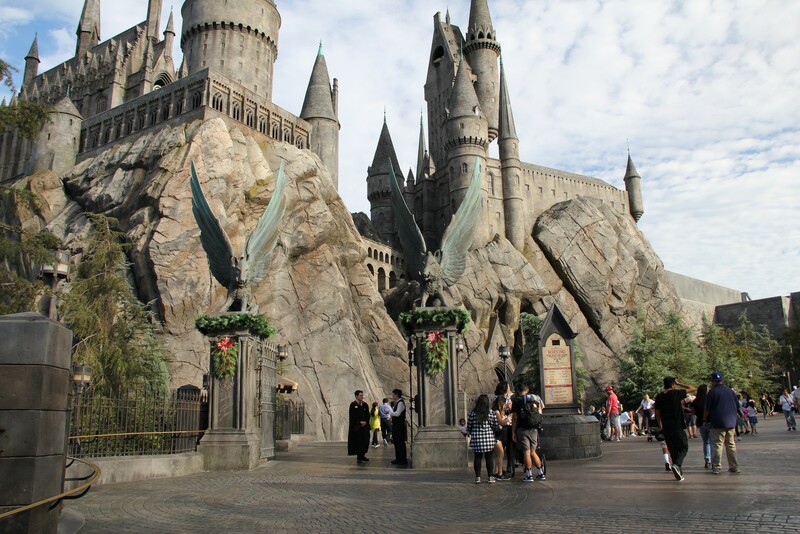 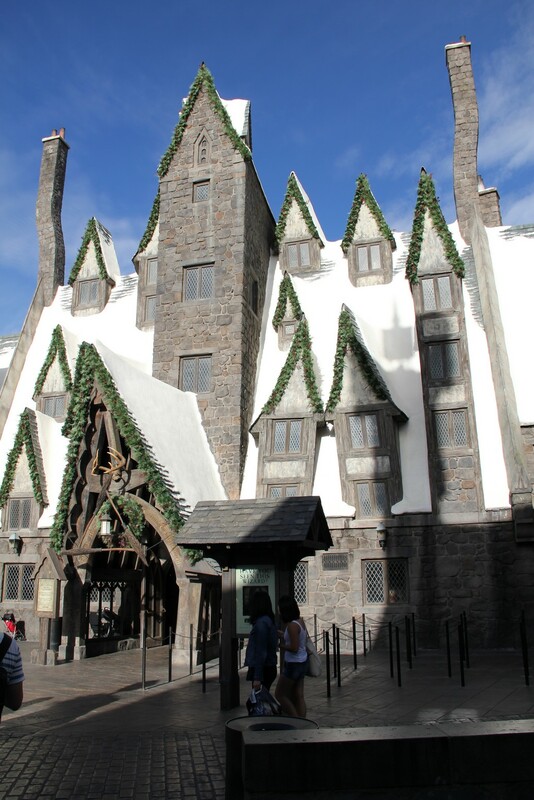 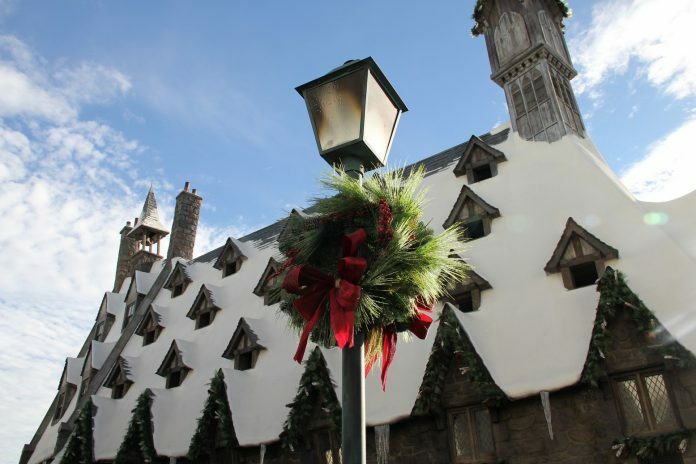 The highlight of this year’s Holiday’s at Universal, is the all-new Christmas in the Wizarding World. 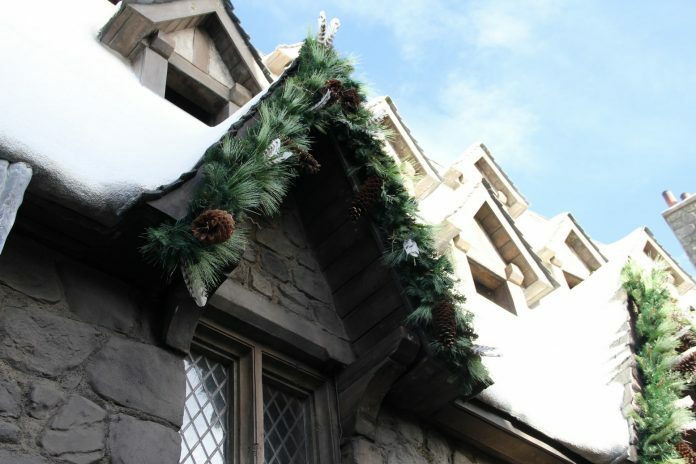 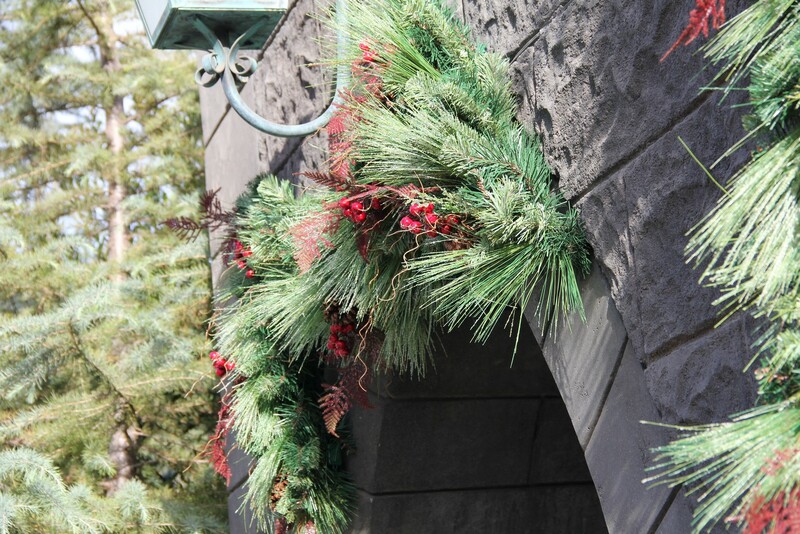 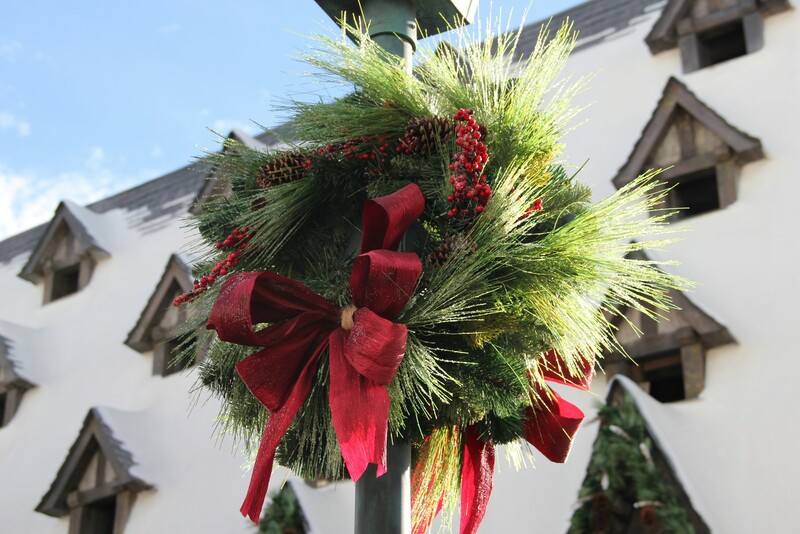 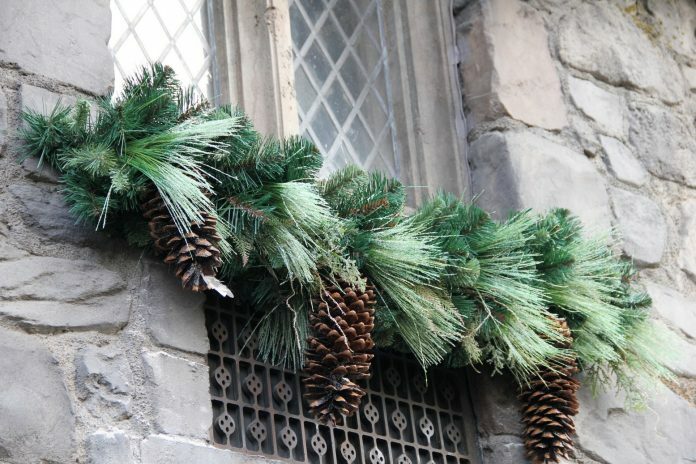 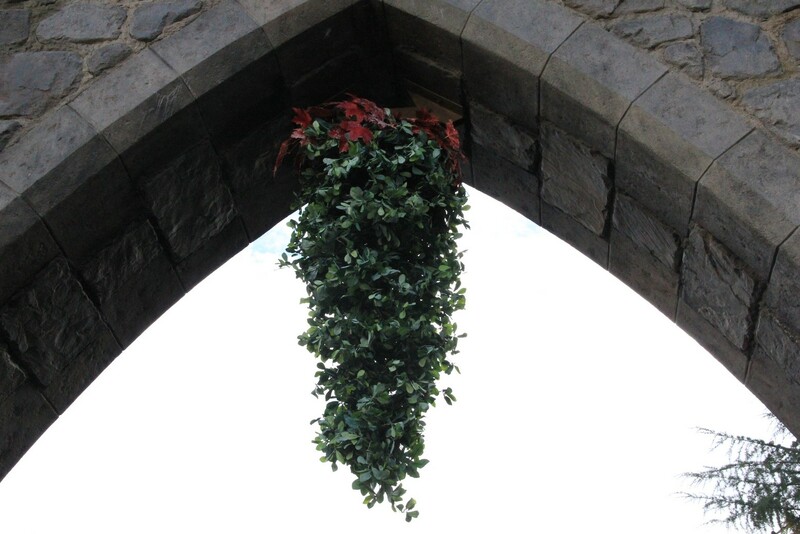 Christmas decorations have been installed all over the land. 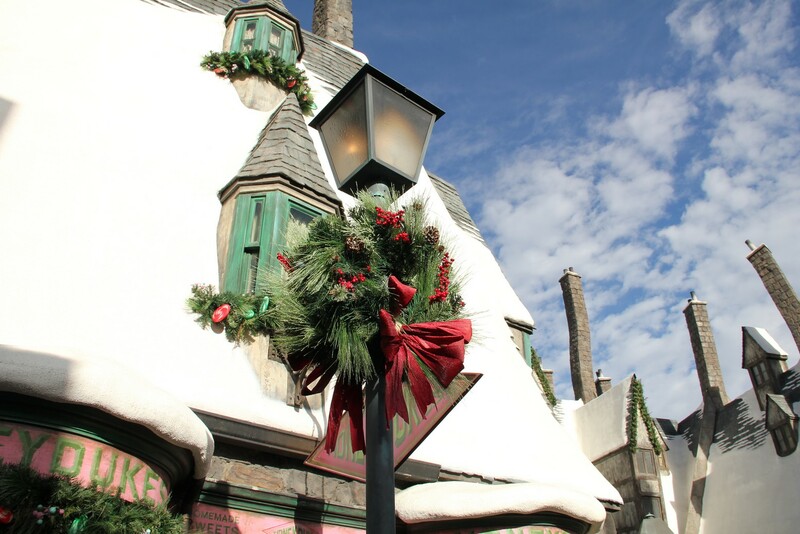 Each set of decorations is theme to the building they’ve been added to. 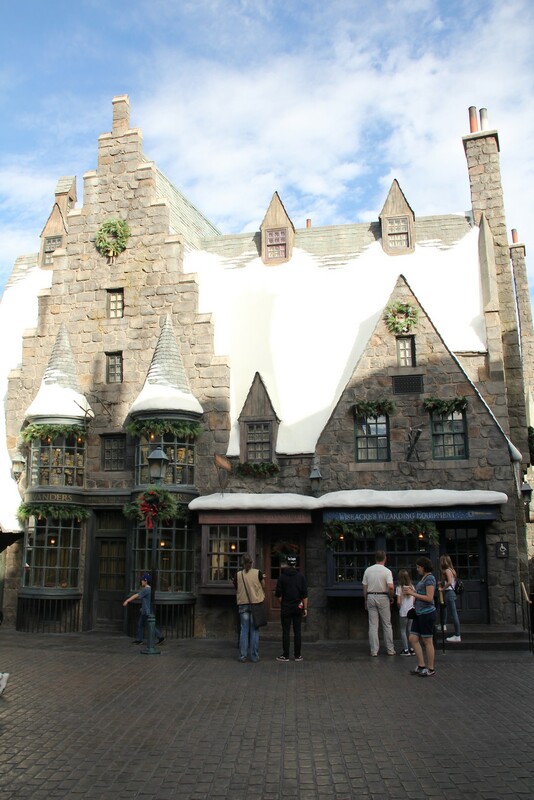 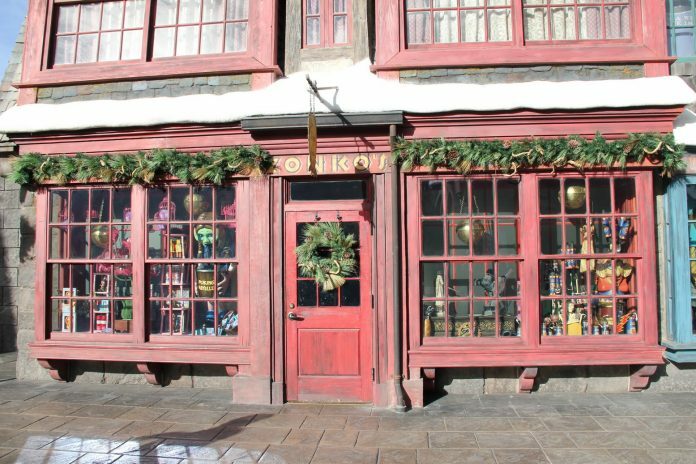 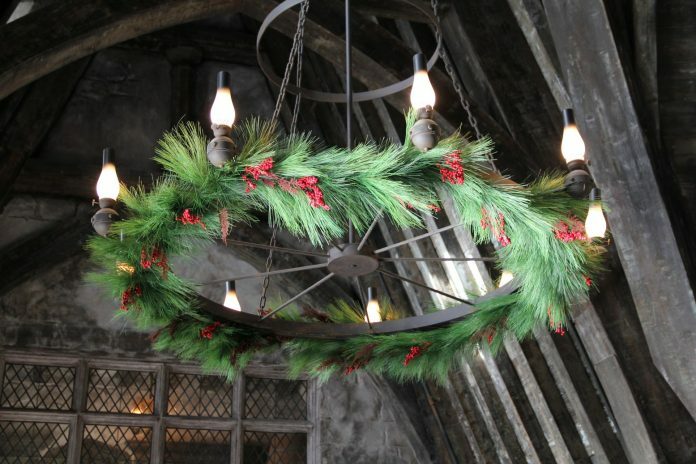 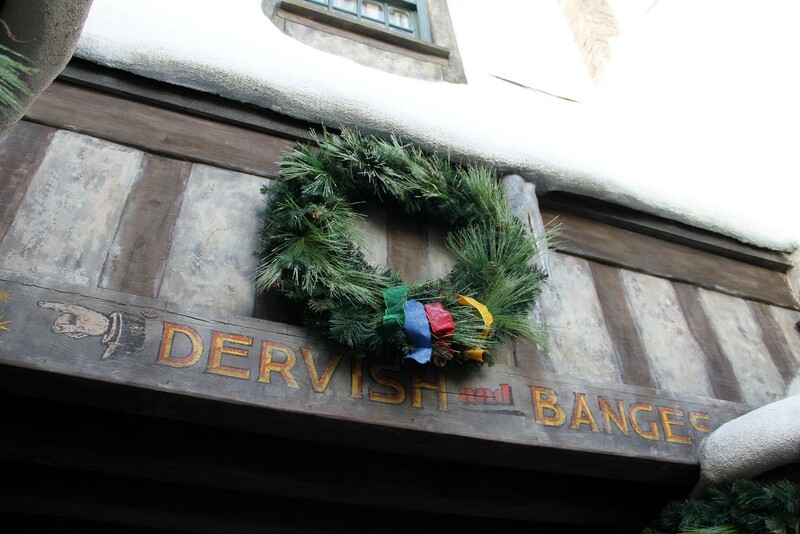 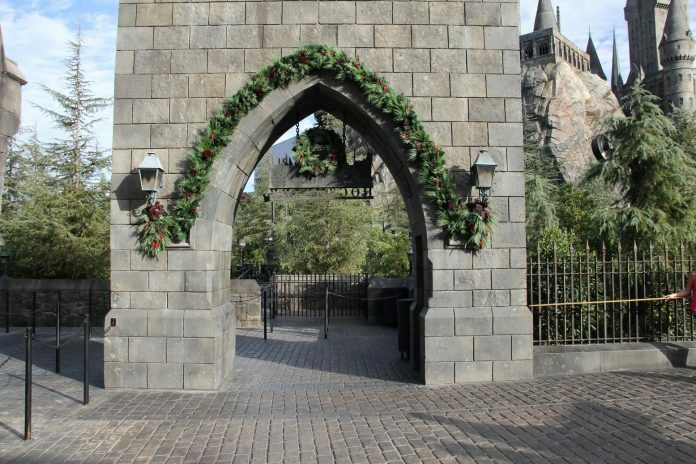 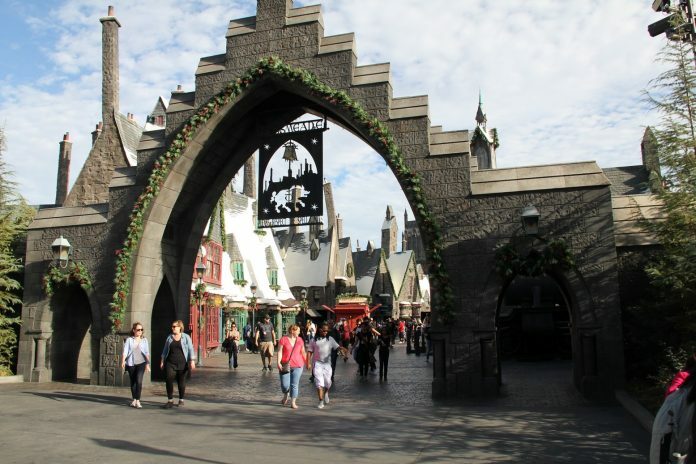 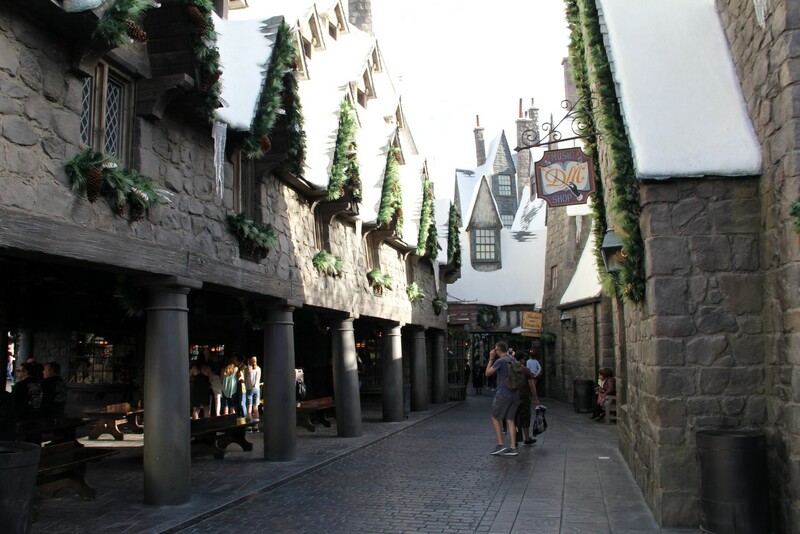 The Wizarding World portion of Universal’s holiday season begins November 24. 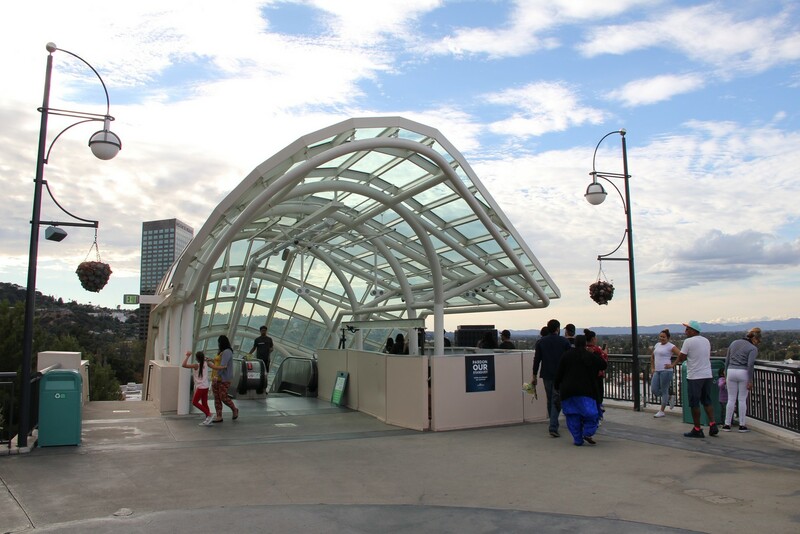 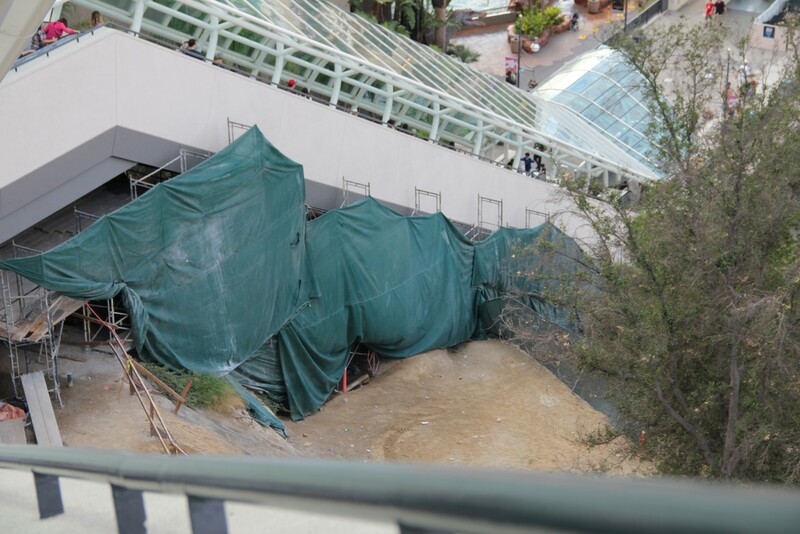 The addition of the fourth escalator to each bank finished almost two months ago and now each of the original three sets will each be gutted and have it’s insides replaced with all-new equipment. 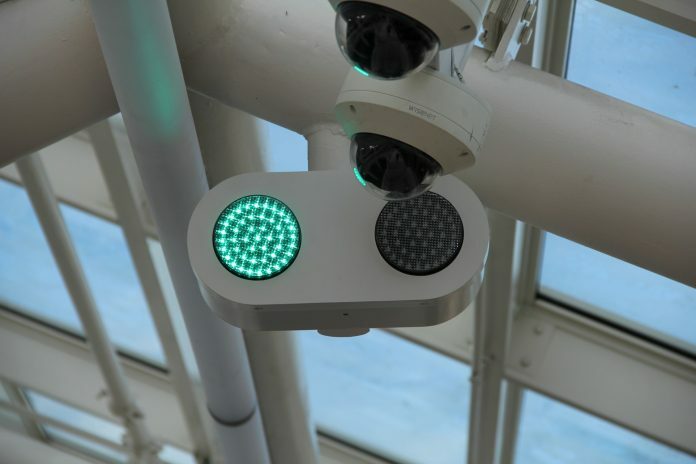 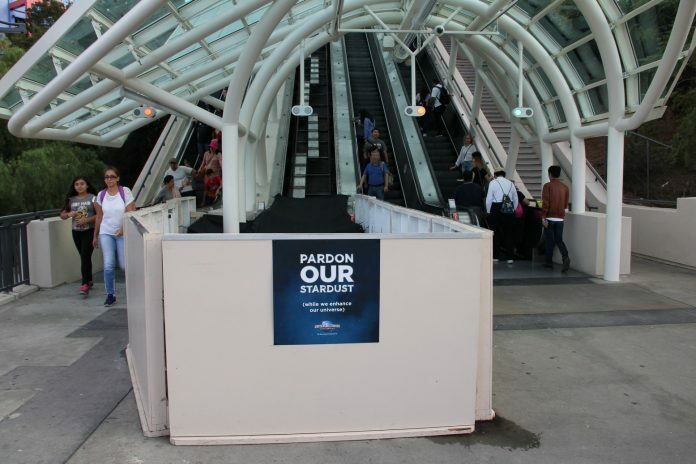 Also, directional signs have been added, notifying guests, which escalators are going up and down. 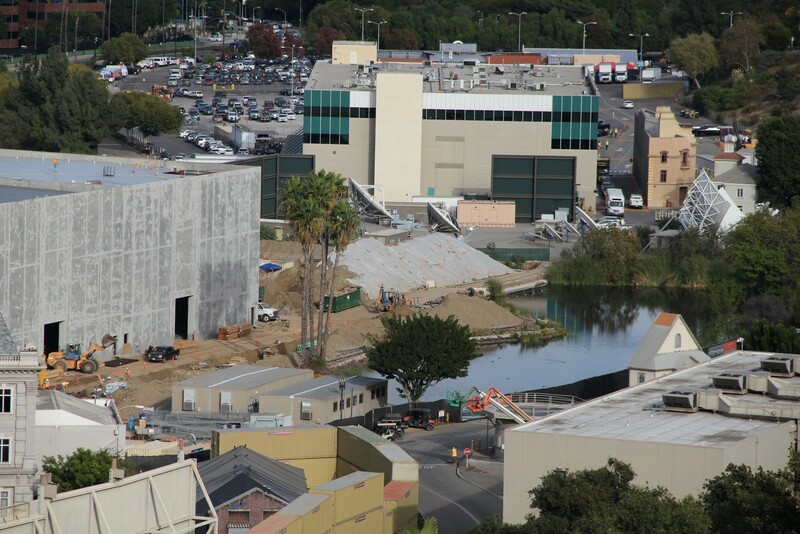 With the studio and theme park expansion, Fire station 51 has been undergoing its own expansion. 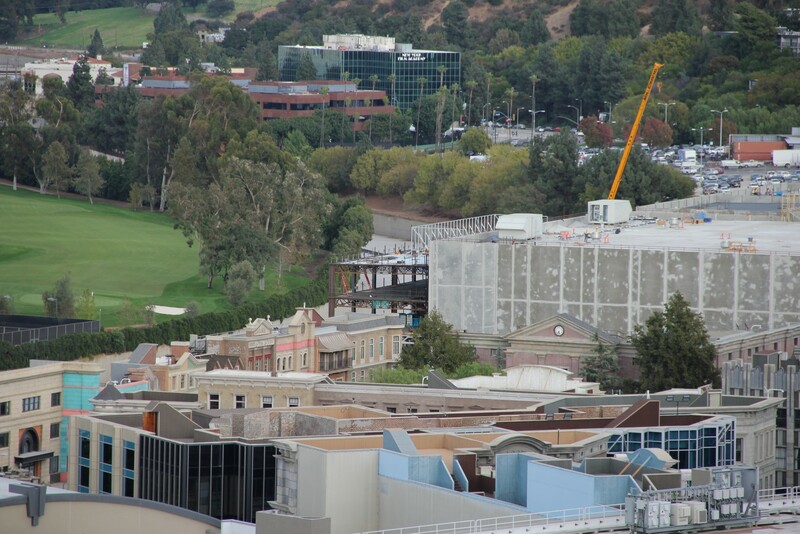 By the looks of it, the addition looks like it should be finished soon. 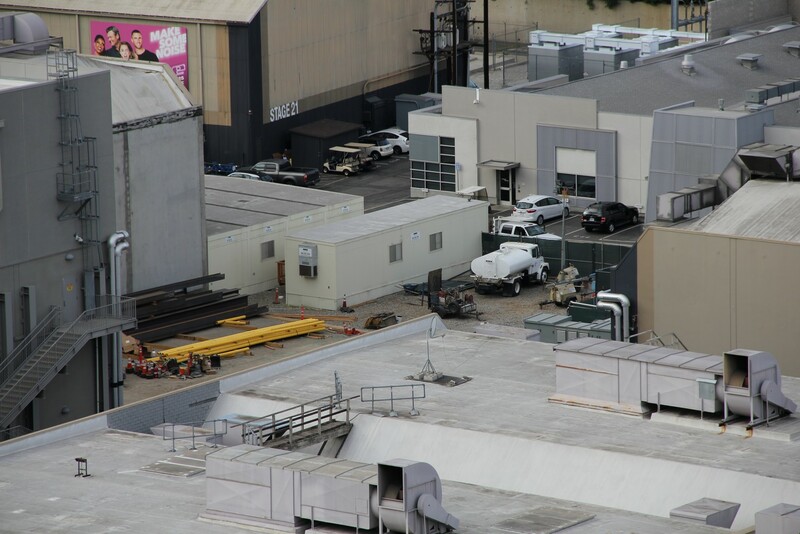 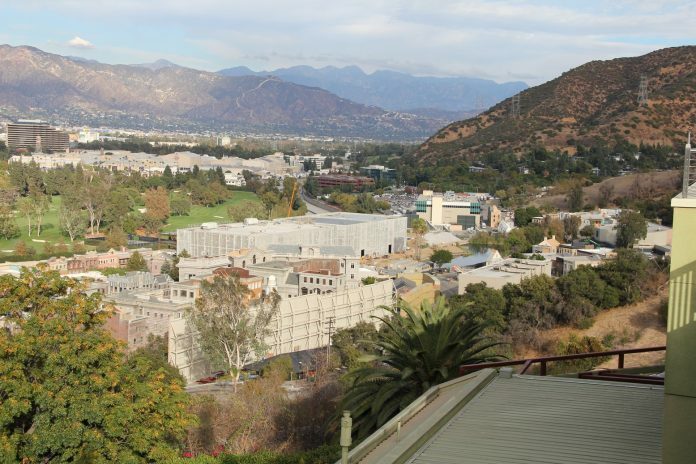 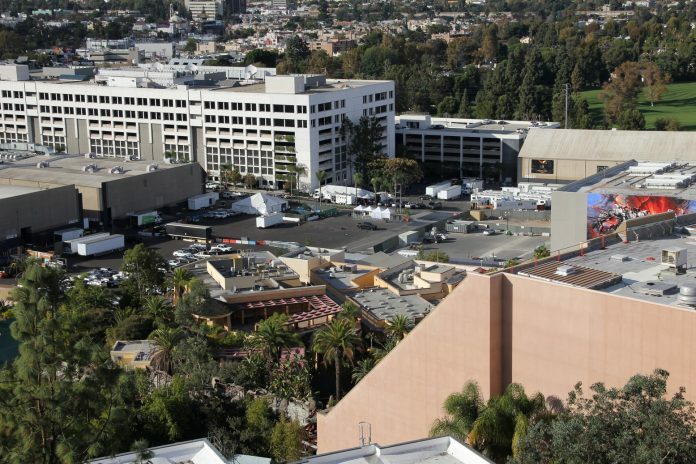 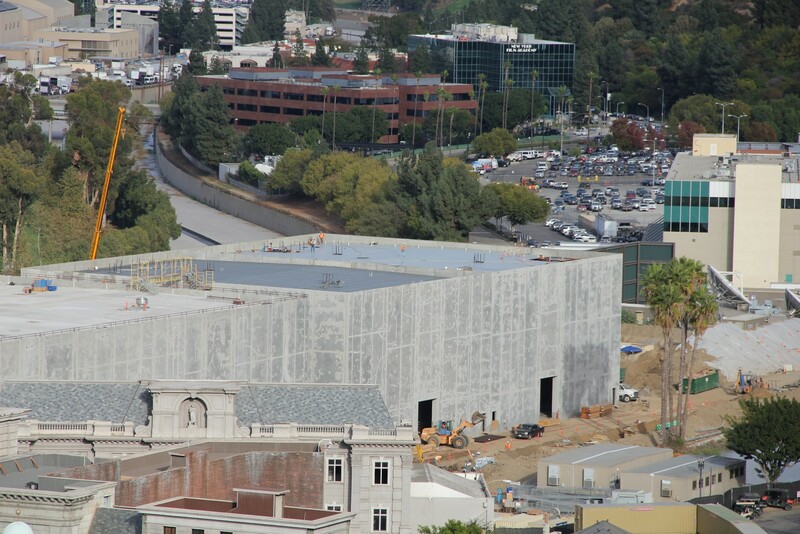 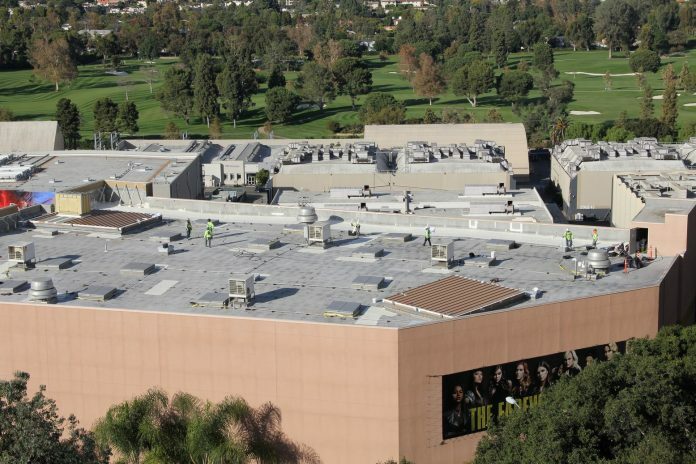 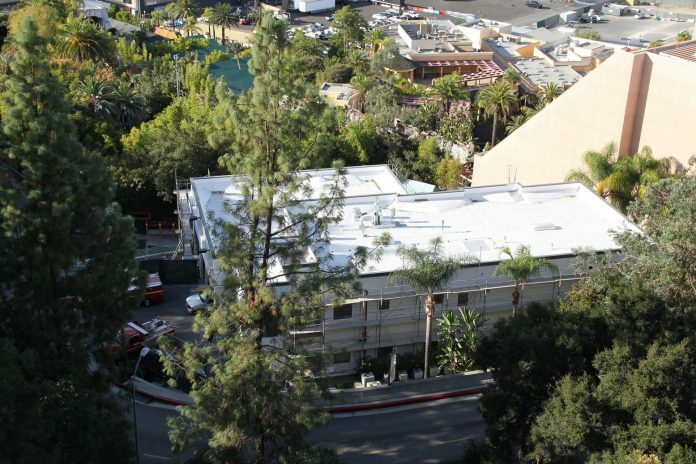 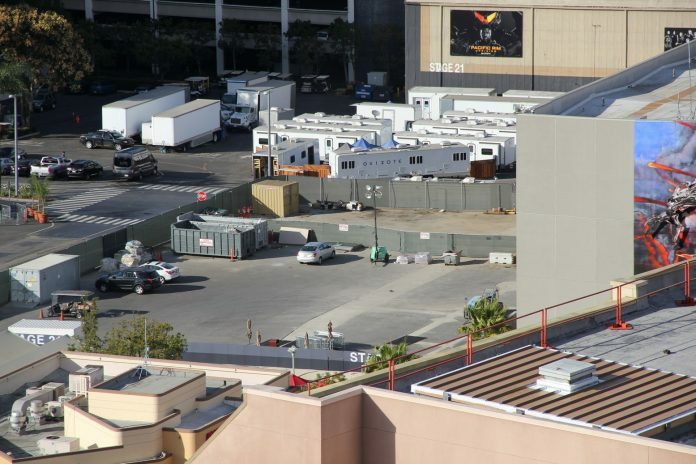 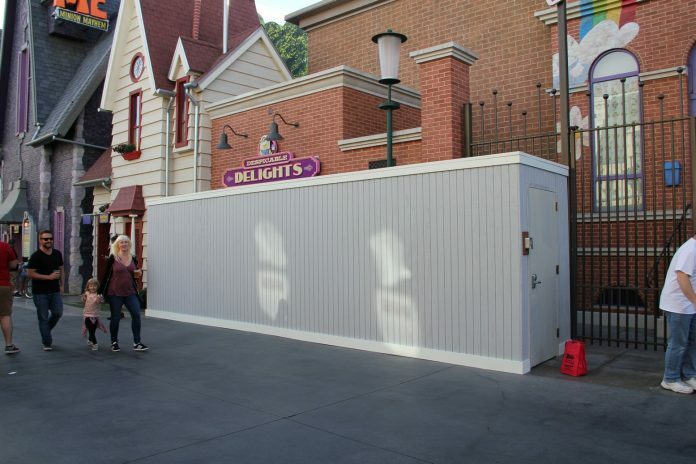 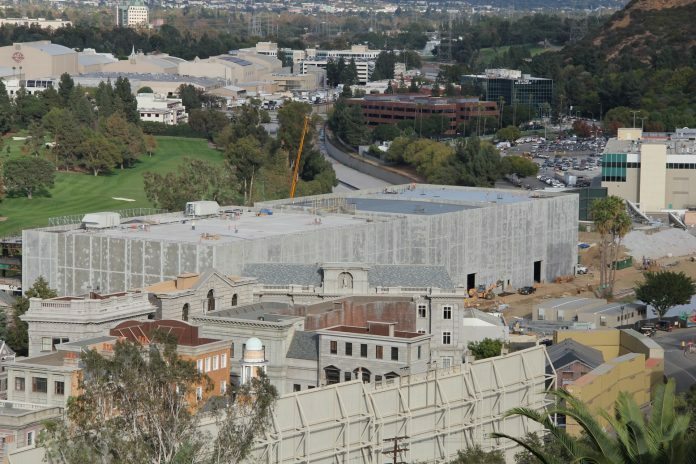 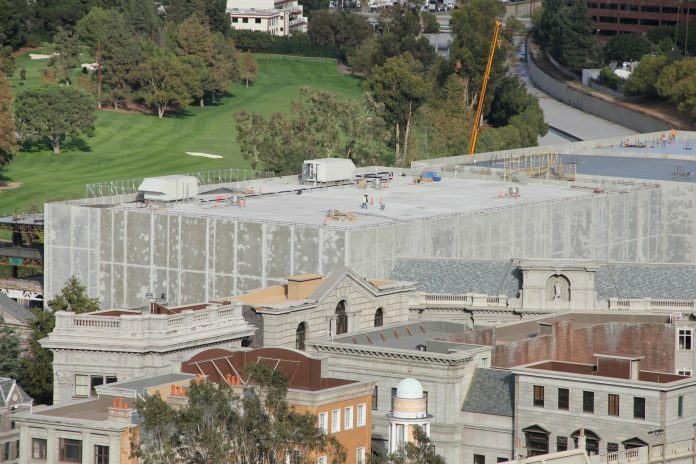 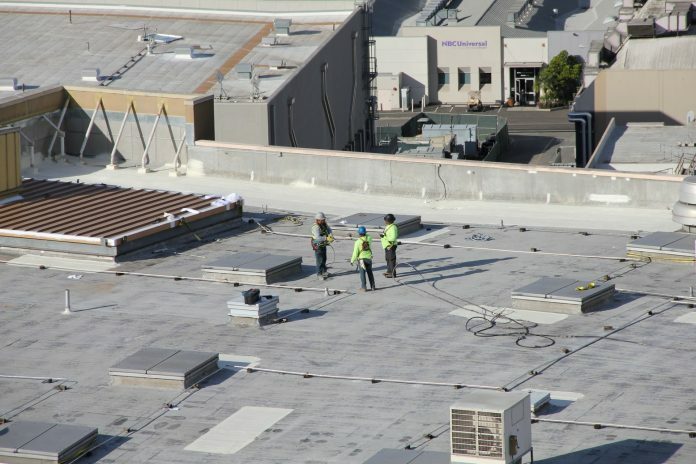 Universal’s Studio Production facilities are receiving major upgrades in the backlot. On the former Park Lake/Red Sea location brand new stages are currently being built. These stages will also house production offices, hair and make-up, editing and green rooms. These stages are important not only for the growth of the studio, but the theme park as well. 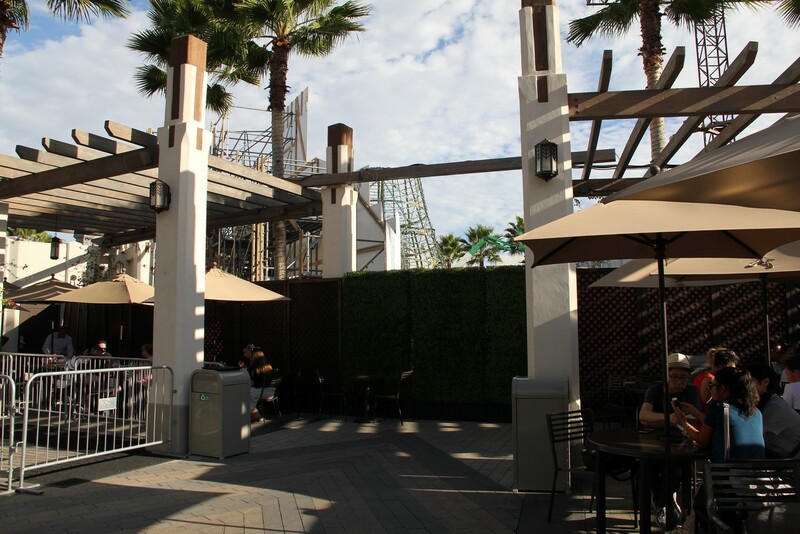 Still no movement in the former plots of stages 22-25, 28 and 31 as the sit empty. According to the Universal Studios Lot map stages 22-25 is designated for P168, which is believed to be for a Secret Life of Pets attraction. 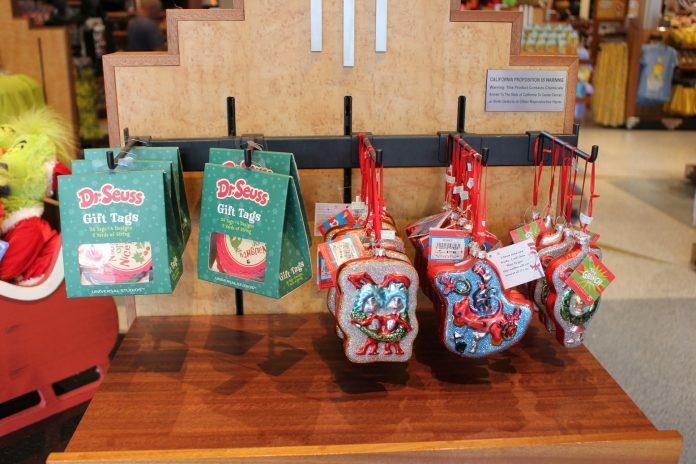 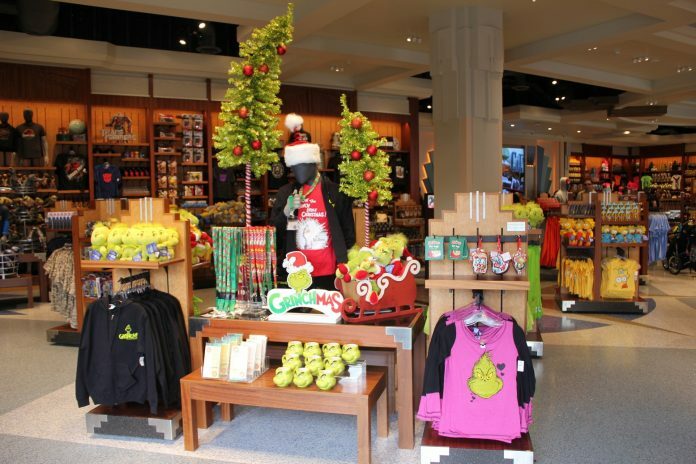 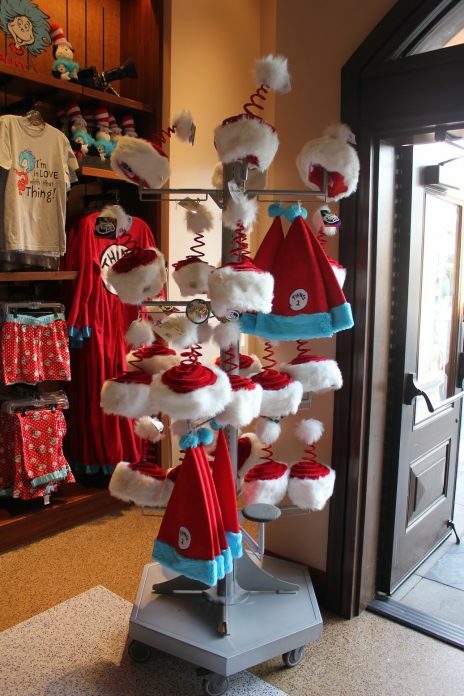 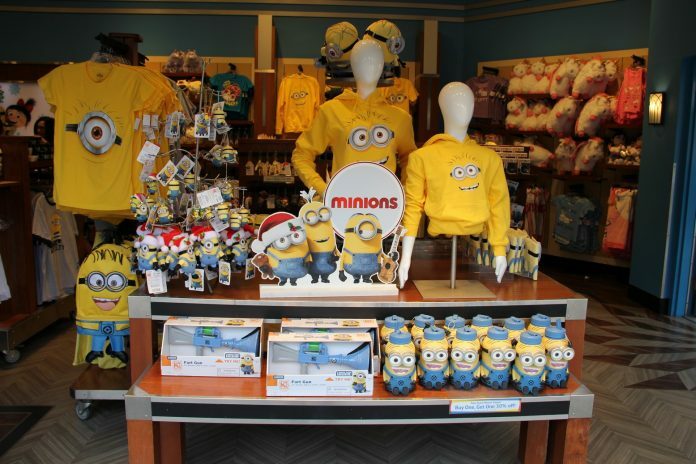 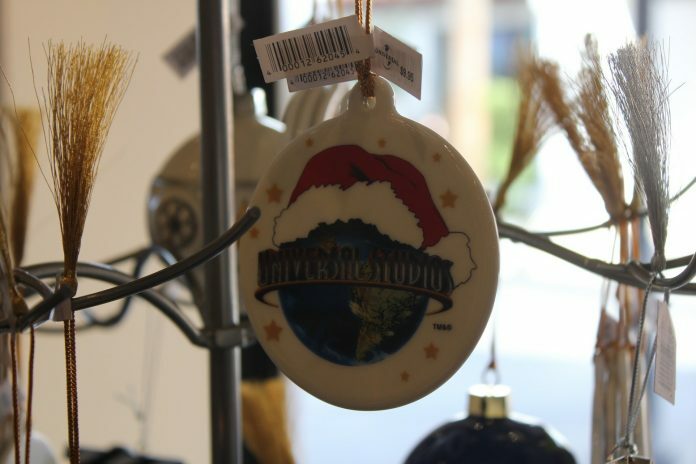 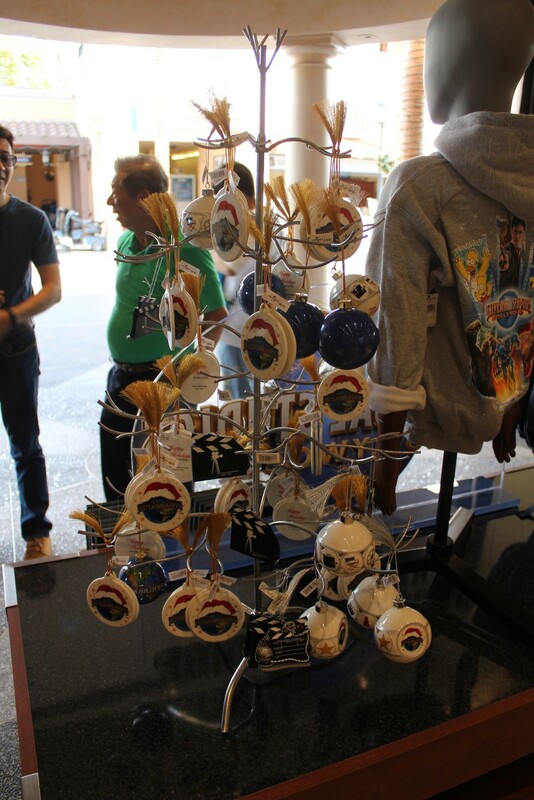 Holiday merchandise is quickly moving in as guests are able to purchase items from some of their favorite holiday classics. 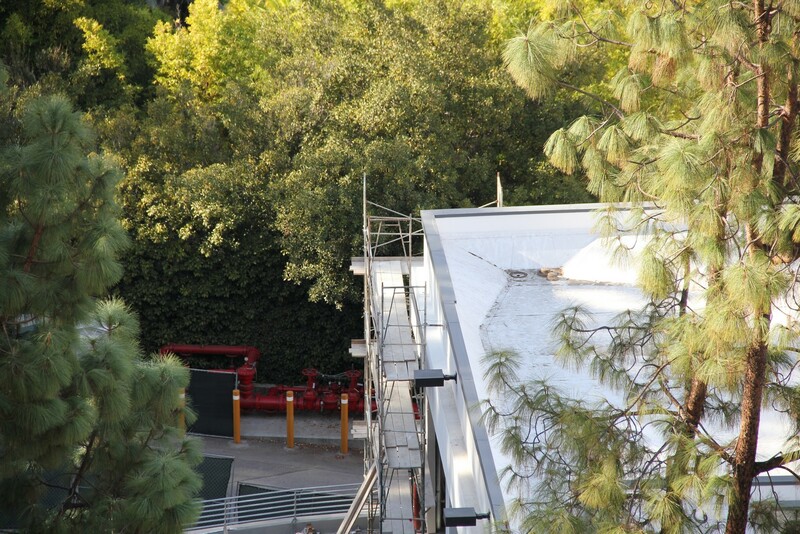 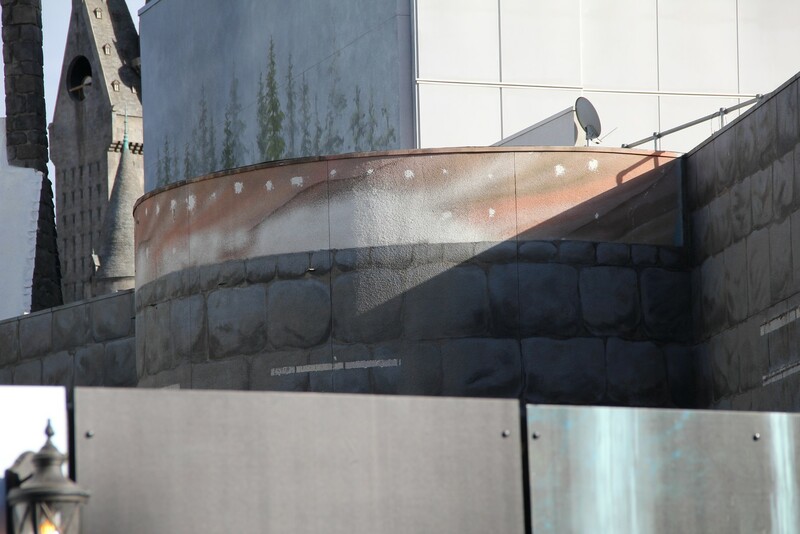 Workers have been working on the roof of the Jurassic Park River Adventure show building. 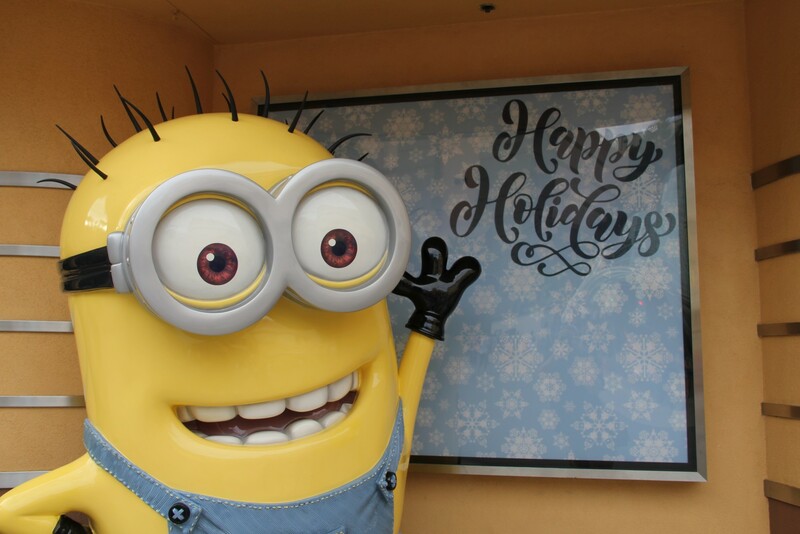 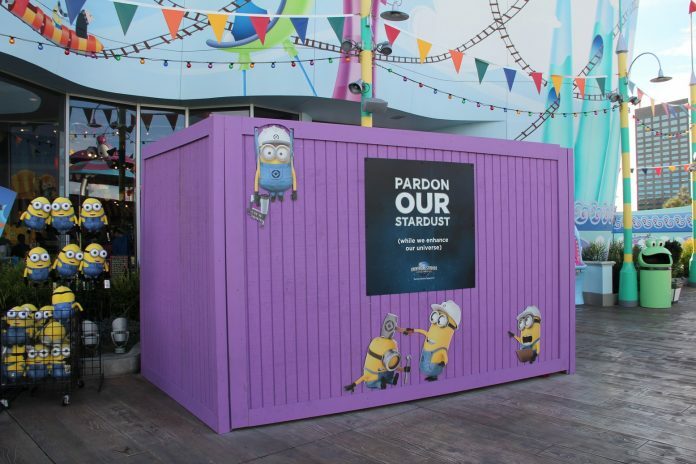 Also, walls are still up around one of the minion photo opportunities inside Super Silly Fun Land and now walls are up around Despicable Delights. 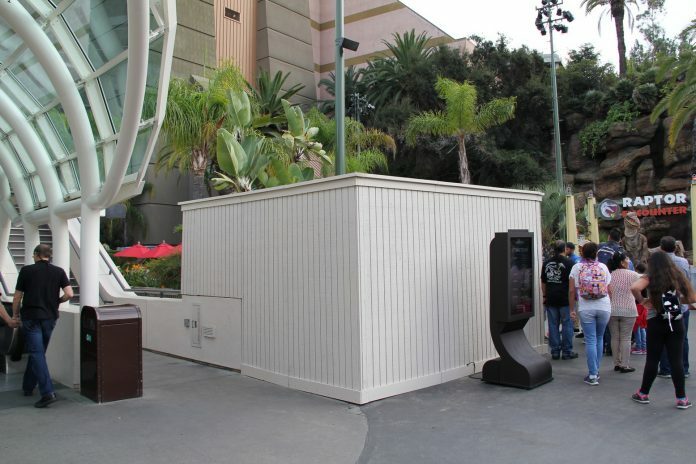 And lastly, the DSD (Digital Studio Directory) has been removed. One has to wonder if one to match the DSD closest to the main entrance of the park is replacing it. 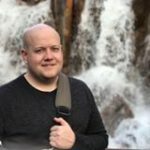 That’ll do it for this month’s photo update. 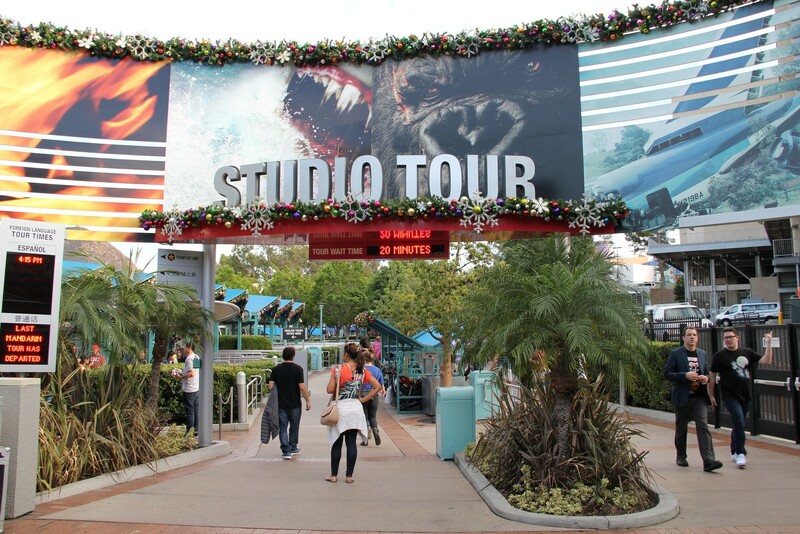 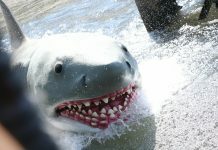 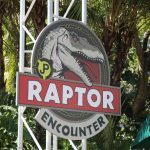 Be sure to follow Inside Universal for continuing coverage of Universal Parks and Resorts.